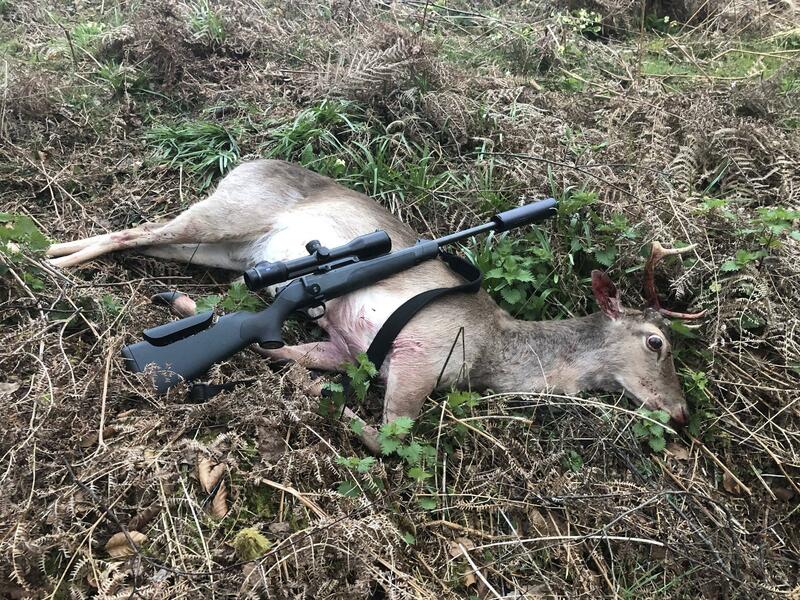 Got quite excited about the begginig of the roe buck season so went out on a sunny afternoon, on a small but productive patch, to see what is moving about. 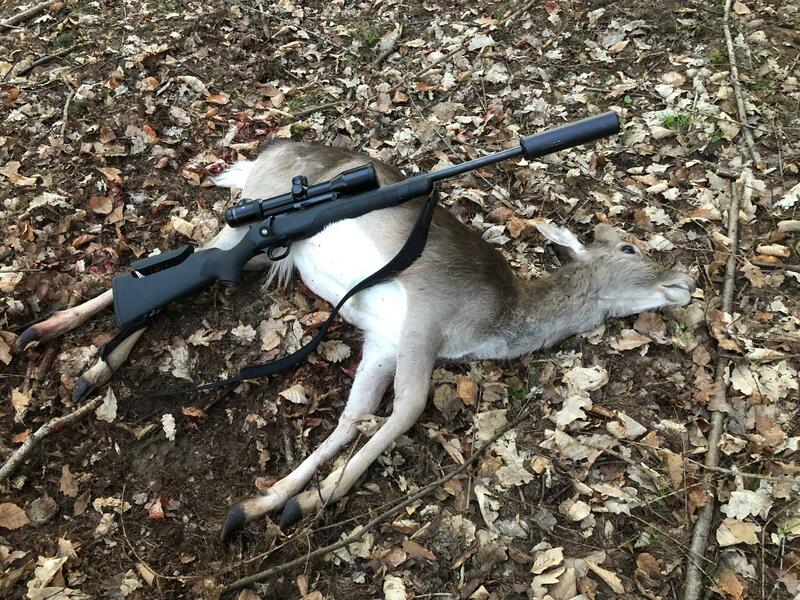 Seen quite a few deer including 2 big bucks but left them alone , and on my way back i came across this one, at about 60 yards standing still giving me time to aim for the neck, pulled the trigger and he dropped on the spot. 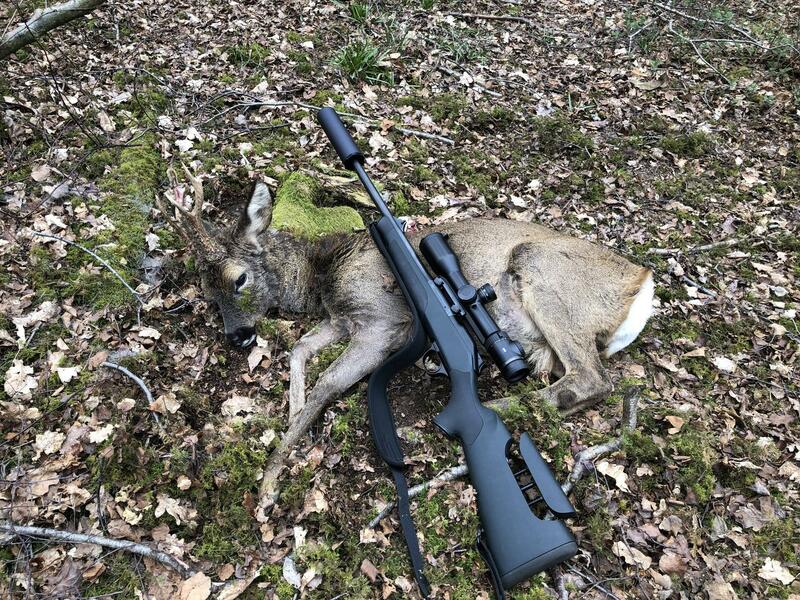 Having cured my roe buck fever for the moment , i had to remind myself that is almost the end of the fallow buck season so the next three outings were exclusively dedicated in trying to get a few more bucks on the deck and keep the landowner happy. 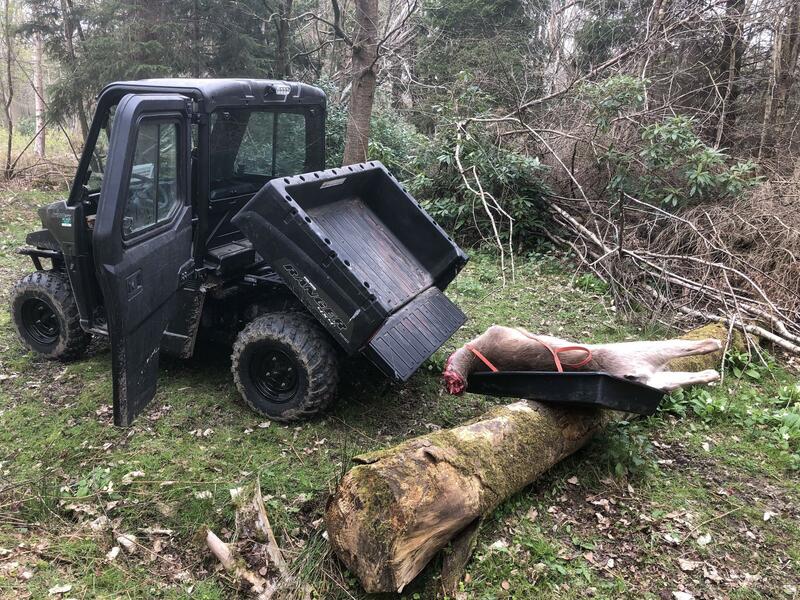 Had a cracking time but it was hard work at times , with the last buck weighting a healthy 124lbs larder weight, but managed to extract with the help of the Polaris, even though i couldn't get exactly where i want it, due to some logs blocking the access. 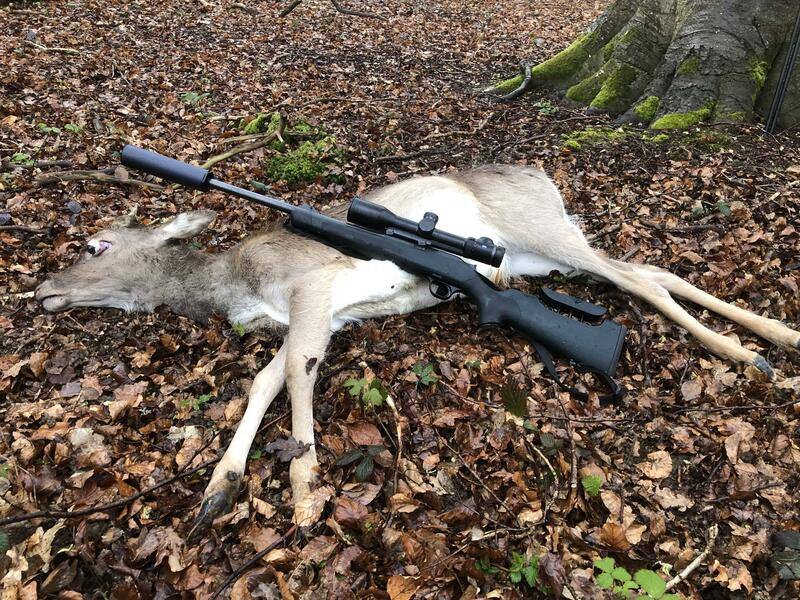 That's the end of the fallow season for me, bring on the roe buck rut! That second photo ? Whatever happened to it’s eye ? Saves the back and legs! Some good work there 🙂 and a lot of effort getting them out.